Well known as Mendip's friendliest caving club, the Mendip Nature Research Committee (M.N.R.C.) has an active membership based at a purpose built caving station in the heart of the Mendip hills. Although the M.N.R.C. is primarily a caving club, we also organise a variety of other activities including hill walking, climbing, photography and social weekends. Information on forthcoming events is listed on the events page, in the quarterly newsletter, in the club email list and at the Mendip Nature Research Station. New members are always welcome and are encouraged to try out club activities before they decide to join. Bunkhouse accommodation available with ample car parking. Situated within easy reach of the major Mendip caves, and local amenities. The M.N.R.C. 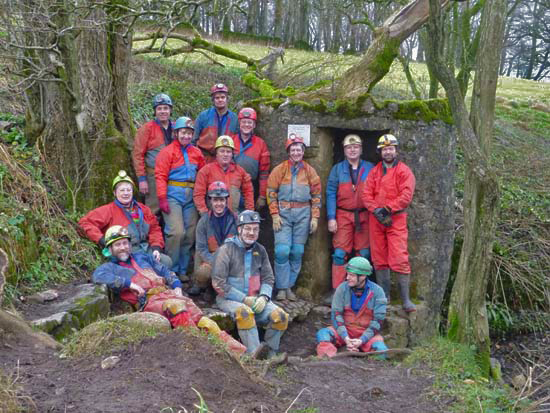 organise various caving trips throughout the year to suit the demands of an active caving club. Help us raise funds for free when you shop online. Shop online from almost 3000 retailers and Easyfundraising will donate every time you buy something, at no extra cost.